Nothing is worse than listening to someone speak and hearing a string of ‘uhhhhh’s ‘ummmmm’s and ‘like’s thrown together. It’s distracting. It takes away from our message. It’s off-putting and can make us sound like we don’t know what we’re talking about. An example: I was on a negotiation conference call recently, and there were two fellow participants with speaking styles that stood out. Boss Lady Executive #1 and Boss Lady Executive #2. Boss Lady Executive #1 spoke with confidence. Clear, direct statements. Well-worded and open-ended questions. Language choice that made the most of her admittedly limited knowledge of the subject matter. Boss Lady Executive #2 spoke with hesitation. Pauses were filled with uhhhhhhs as she gathered her thoughts. Statements became questions. And she struggled to establish herself as an expert – even though I know she was the person on the call with the most experience and hands-on knowledge of the topic at hand. When you’re an entrepreneur, you need to be a Boss Lady Executive #1 (or Boss Fella). As uncomfortable as it might be, one of the best ways to improve your spoken communication is to record yourself, and then listen to it, paying attention for any vocal ‘ticks’ you have. Remember how in school certain teachers would use the same word over and over again, and you would put little hashmarks at the top of your notebook each time they said it? Do the same thing for yourself. This way, you’ll know what specific speech patterns are breaking down your credibility and persuasiveness. Try this: Here are some of the frequent vocal ticks I notice. 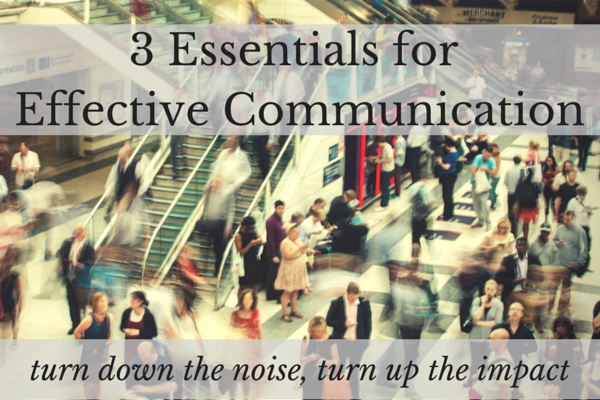 Use this as your starting point for your Communication Audit. And we need to stop doing that. Coming across as calm and poised in a conversation or when delivering a presentation is the surest way to bump up the impact. Take a deep breath before starting to speak. Pause occasionally for another one. Taking the time you need also means taking the time to practice. With every discussion you have, webinar you present, or training call you host – your voice will get stronger, and so will your message. With these 3 tips – having speaker notes, auditing your communication, and taking your time – you’ll be able to become your business’ own Boss Lady Executive #1 in no time.